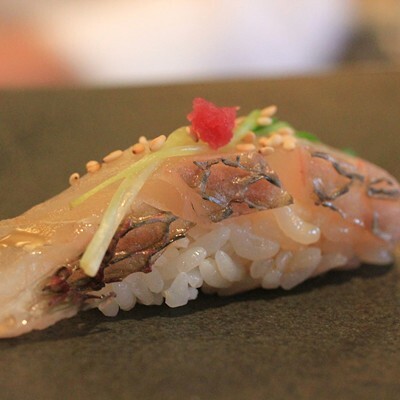 Jeff Ramsey, the head sushi chef at Momotaro, which opens tonight, waxed poetic about the fish from Japanese waters for a small audience of food journalists. "The waters of Japan are especially nutrient rich," he said. "Japan has all these crinkly little coves along the edge, it has more coastline than America. So there are all these little inlets where the fish feed." Is this true? Does it make a real difference? 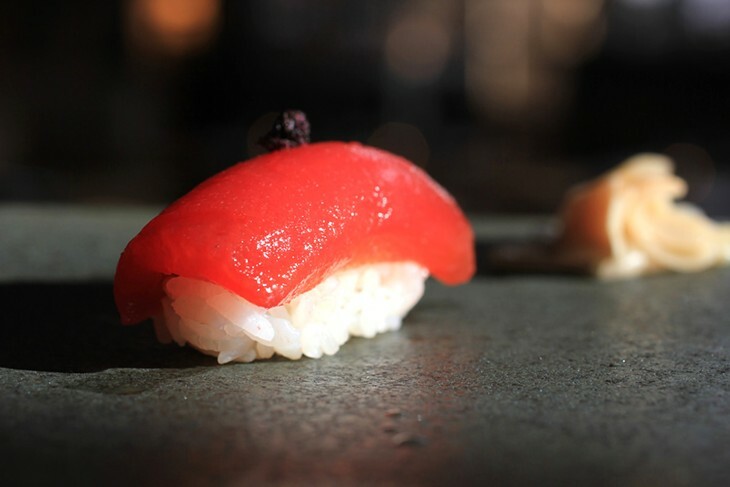 I have no idea and have to take his word for it, but in the end, it may matter less what Japan has than what Momotaro has—which is a pair of sushi chefs committed to superior product. 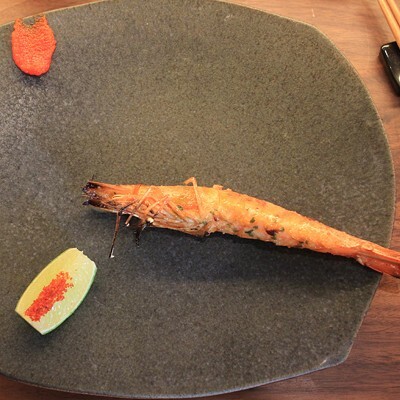 Ramsey, the chef who devised the menu, is one, but he's also a consultant who travels a lot and is not going to be permanently located here once Momotaro is up and running. 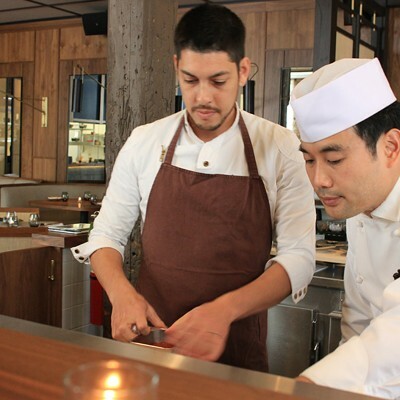 The chef you'll see at the sushi bar is more likely to be Kaze Chan, a familiar name here. With his brother Macku, he's been involved in several restaurants, including the one named for him, Kaze, in Roscoe Village, and the ones Macku has now, including Macku Sushi on Clybourn. 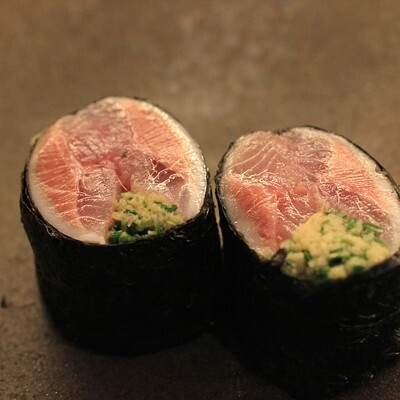 Macku has been the flashier one, with a taste for exotic, somewhat over-the-top sushi combinations. Kaze is quietly dogged by comparisons and thus seems more suited to executing what Ramsey has devised here. 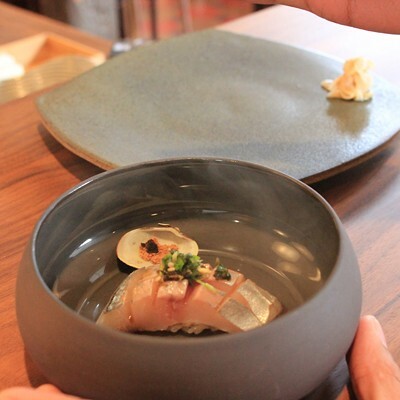 Ramsey too makes modern, even modernist, sushi, supplementing the fish with everything from fresh ginger to a splash of smoky charcoal. 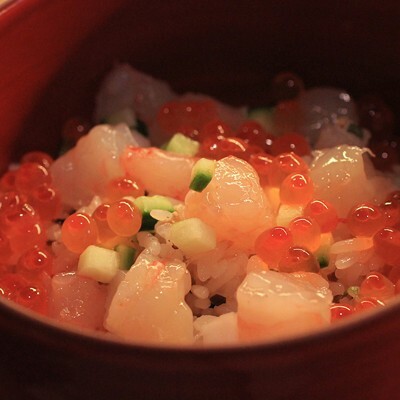 In the case of one offering, he accents raw shrimp with its own grilled and ground shell. This isn't minimalist, Jiro-style perfection except maybe once when unadorned ootoro (fatty bluefin tuna belly) makes an appearance. 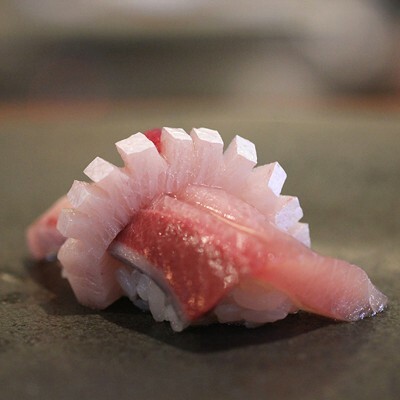 It is the chef dressing things up, but doing so with an incredibly delicate hand, just the slightest drip or pinch of something to enhance the flavor of the fish. 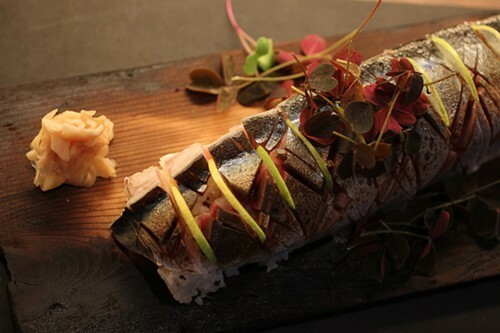 There are no mayonnaise-heavy rolls here; even the gaudiest thing, a plump mackerel-based roll called a "megamaki," turns out to be simply dressed with slices of citrus. Soy sauce is offered to the diner for dipping only once, and discouraged the rest of the time. 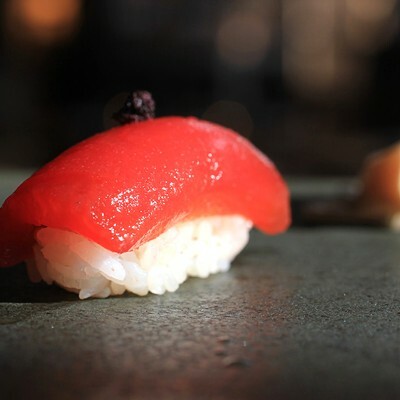 Two items we sampled are so minimalist they don't even include fish—they're sushi built around Momotaro's namesake, a breed of Japanese tomato. One is compressed tomato, sliced as if it were tuna and placed atop rice; the other is a "tartare" made of the same tomato, dehydrated and shredded into what seems some kind of meat, then seasoned the way beef tartare would be, with mustard and onion. We tasted close to 20 different cuts or dishes of raw fish, a few items from the robata grills, plus an assortment of cocktails from beverage director Allie Kim and some sakes selected by Tenzing Wine & Spirits; in the slideshow below, you can see what's in store when Momotaro opens tonight. 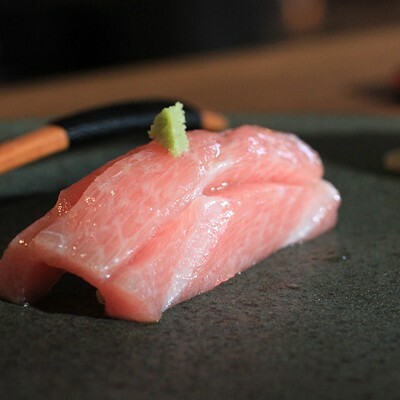 However, co-owner Kevin Boehm said the omakase offering—which starts at $50 but goes up from there for "whales," meaning big-spending customers—won't be offered until the sushi kitchen has a few weeks of running smoothly under its belt. Hogsalt Hospitality takes a pure, respectful approach to fish amid River North’s culinary cliches.